Pittance was created in 2013 by Artistic Director Lisa Sutton, who is the Assistant Concertmaster of the Los Angeles Opera Orchestra. The original idea behind Pittance was to raise up the extraordinary yet invisible musicians of the LA Opera Orchestra from the pit to the stage to perform in small ensembles (hence the name Pittance). Since 2013, the ranks of Pittance have been expanded to include vocalists from the LA Opera Chorus and the Domingo-Colburn-Stein Young Artists Program. By presenting these performers in smaller groups and smaller venues Pittance endeavors to personalize opera, giving audiences a more intimate view of the resident artists who are the heart and soul of the opera company. Among the most extraordinary musicians in the world are those you seldom see – the musicians of the Los Angeles Opera Orchestra. 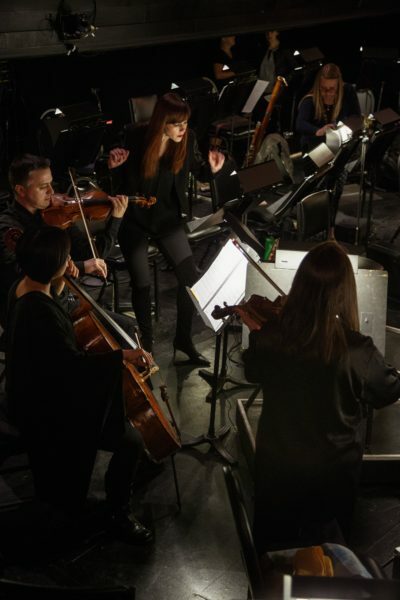 I am pleased and honored to lead these GRAMMY-winning artists from the pit to the stage to perform in small ensembles – hence the name “Pittance”, a play on words referring to these smaller offerings from the orchestra pit. To further elevate the experience, we have added beautiful voices from the Los Angeles Opera Chorus and the Domingo-Colburn-Stein Young Artists Program. By performing together in smaller groups and smaller venues we endeavor to personalize opera, allowing audiences a more intimate view of the extraordinary resident artists who are the heart and soul of the opera company. Our goal is to explore the chamber music repertoire, and to present our audiences with a variety of unique mixed ensembles drawn from our large pool of instrumental and vocal artists. Whether the pieces are familiar old friends or new acquaintances, our concert hosts will enlighten your experience with interesting perspectives and anecdotes about the music and the performers. We invite you to join us and share our excitement as we continue on this unique musical journey. Lisa Sutton is the founder and Artistic Director of Pittance Chamber Music, and is the Assistant Concertmaster of the Los Angeles Opera Orchestra. She is also a busy freelancer, and has recorded extensively for motion picture and television soundtracks. 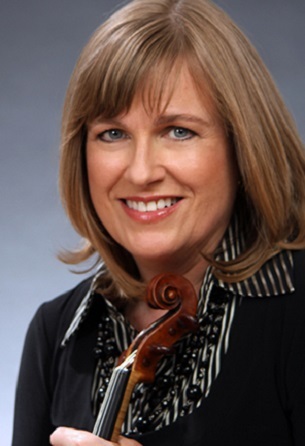 For many years Lisa was a Principal player with the Los Angeles Chamber Orchestra, as well as Associate Concertmaster with the Eastern Music Festival in Greensboro, North Carolina. She has performed with pianist Francoise Regnat and L.A. Opera cellist Rowena Hammill in the Primavera Trio, concertizing in Los Angeles and recording for Centaur Records. Additional chamber music credits include performances with artists Carter Brey, Larry Coombs, David Jolley, Stephen Kates, Franco Gulli and Larry Lesser. Prior to living in Los Angeles, Lisa was a member of the Houston Symphony and Grand Opera. She holds a Master of Music degree from Yale University. Sean Sutton is currently the Executive Vice-President and Chief Operating Officer of the Pacific Symphony, a position he has held since 2002. Prior positions include Associate Director of Finance and Administration for the Los Angeles Opera and Director of Finance for the Los Angeles Chamber Orchestra. In addition to serving as a board member for Pittance Chamber Music, he is also President of the Board of Directors of the Association of California Symphony Orchestras. Cynthia Shilkret worked as a senior manager and project manager in Human Resources and Information Technology for Southern California Edison for 21 years. She has also been involved with many arts organizations in the past 30 years. Through her late husband Wayne Shilkret, who was a director of many major performing arts organizations in the Greater Los Angeles area, she was actively involved in multiple fundraising, outreach and arts education efforts. She has also served on boards in a variety of leadership roles for several organizations including the Association of California Symphony Orchestras, the Cerritos Center for the Performing Arts’ Friends of Arts Education, and the Pasadena Symphony.